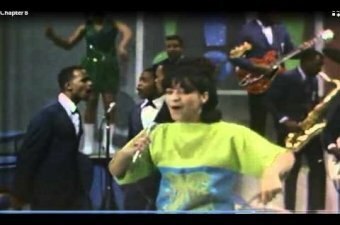 Connie LaRocca quit working at her husband’s fried chicken restaurant to break into the music business in 1962. As author Jeff Hannusch records, she started a booking agency with encouragement from the R&B singer Tommy Ridgley, who wanted LaRocca, who was white, to help him land more gigs for white audiences. She founded a record label, too, and named it Frisco for her California hometown. LaRocca found a lot of men in the industry bristled at a woman running a label. Undeterred, she partnered with Hal Atkins, a radio DJ with industry connections across the country, and started lining up artists. 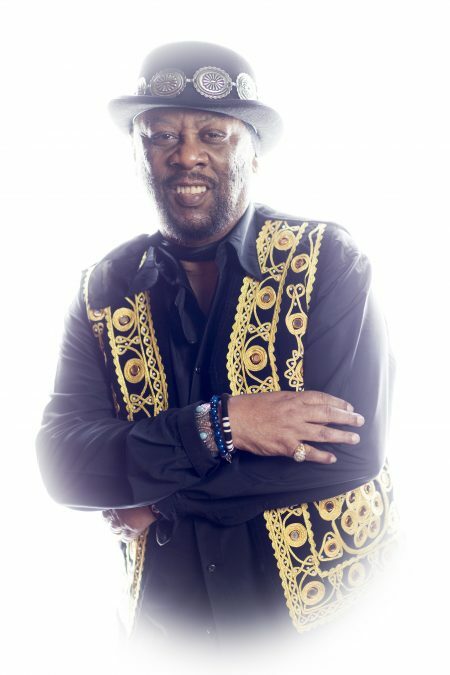 She saw an opportunity for the R&B group Danny White and the Cavaliers, who packed the Dream Room and Sho Bar on Bourbon Street but didn’t have a record out. LaRocca convinced White to visit the Frisco office to find material to bring into the studio (she called the place Park Avenue, a reference to the rows of oak trees then shading North Claiborne). 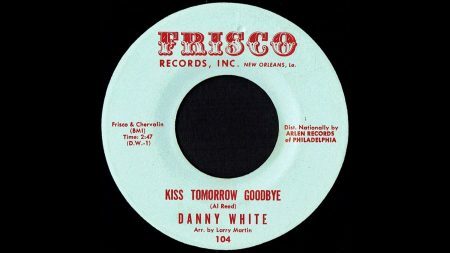 White decided to cut a down-tempo version of “Kiss Tomorrow Goodbye,” a tear-jerker written by Al Reed with an arresting opening line—Tomorrow was our wedding day—that seemed to tie time in a knot. 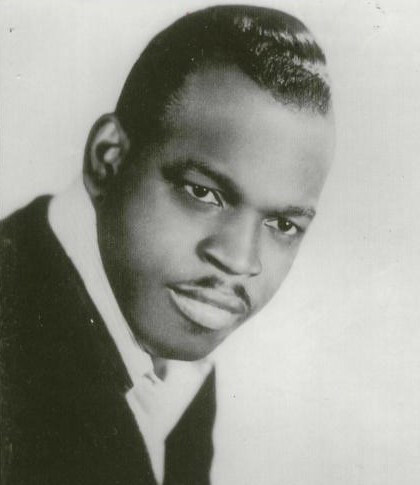 The session was an early producing job for the masterful Wardell Quezergue, who layered bursts of guitar work from Irving Bannister and background singing by Wanda Rouzan and her sisters. 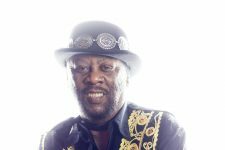 With White’s stirring vocal the record had the makings of a smash. 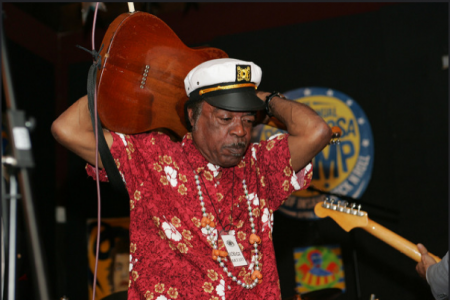 Atkins played it on his radio show and it shot to number one in New Orleans. Frisco couldn’t keep up with demand so LaRocca leased the record to a national distributor (a common practice of the time). That company failed to promote it. Instead of launching White and LaRocca into the big time, “Kiss Tomorrow Goodbye” barely broke even. White found some success with subsequent releases but stopped performing by the end of the decade. Quezergue also arranged “Men of War,” a lament about deployment to Vietnam, for the Rouzan Sisters. This Frisco release charted nationally but the sisters didn’t catch on as a girl group. 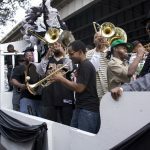 Wanda Rouzan went on to a long career as an educator and performer, though, celebrated for her role in the musical “One Mo’ Time.” Her billing as “the Sweetheart of New Orleans” doesn’t diminish her gravitas as one of the city’s preeminent grand marshals, a ceremonial leader of jazz funerals. On Park Avenue, LaRocca and Atkins tapped trumpeter Warren “Porgy” Jones to produce other Frisco sessions. Like so many students of band instructor Yvonne Busch at Joseph S. Clark High School he was a versatile player, backing R&B greats including Otis Redding and Ray Charles and performing with jazz heavies like Art Blakey. 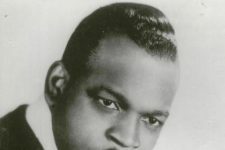 Jones brought singer Willie West, an energetic front man on the Chitlin Circuit, to Frisco, but his sides failed to sell beyond the Gulf Coast. West kept on singing in clubs, and joined the Meters as a vocalist in the late 1970s. 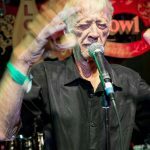 According to Hannusch, the untimely death of Atkins in 1966 and ongoing distribution issues contributed to LaRocca’s choice to kiss the record industry goodbye. She went back to work at Jim’s Fried Chicken, leaving the rest of us an enduring piece of New Orleans rhythm and blues. Wanda Rouzan, who recorded with her sisters for the Frisco label, sings "Come See About Me." Dr. John on "Kiss Tomorrow Goodbye" and other Wardell Quezergue records from a panel on Quezergue's work at the 2009 Ponderosa Stomp Music History Conference. Video by the Ponderosa Stomp. 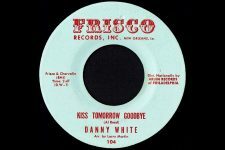 With his band, the Cavaliers, Danny White tore up clubs in New Orleans for years before cutting the classic "Kiss Tomorrow Goodbye" for Frisco Records. "Kiss Tomorrow Goodbye," a New Orleans classic from 1962. 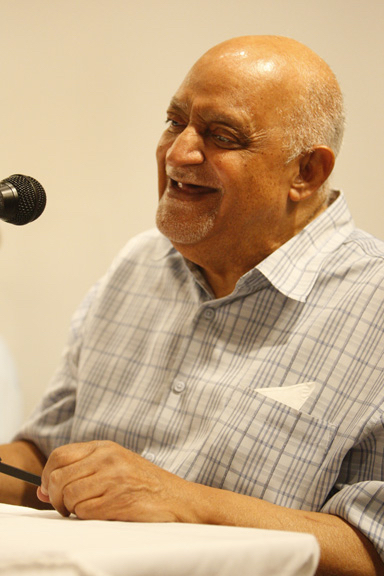 Larry Martin, the arranger, was a pseudonym for Wardell Quezergue, the "Creole Beethoven." 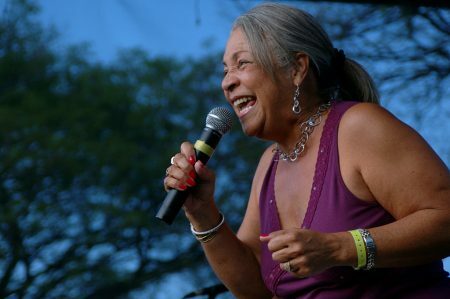 Wanda Rouzan in 2006. As part of the Rouzan Sisters (which included Laura and Barbara Rouzan), she cut "Men of War" for Frisco Records, a song about a loved one being sent to fight in Vietnam. Courtesy of Creative Commons. Photo by Newer Machado. 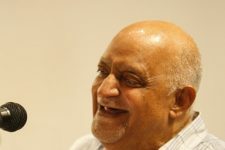 Portrait of Irving Bannister, 2011. 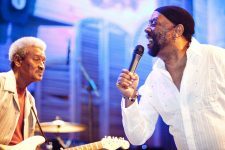 Frisco Records artist Willie West singing at the 2010 Ponderosa Stomp Festival with guitarist Lil Buck Sinegal. 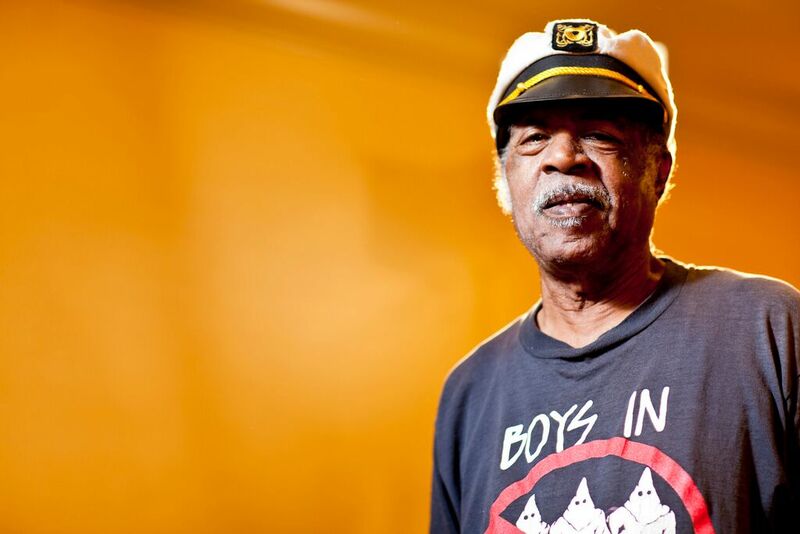 A portrait of Willie West from 2017. West, who later sang with the Meters, recorded for the Frisco label from 1962-1964.